THL Vacations is your expert source for your next vacation. Modesto, originating as a stop on the railroad connecting Sacramento to Los Angeles, was founded in 1870. Since then it has grown into so much more: Modesto ranks as the 18th largest city in the state of California. According to legend, the city was to be named after William C. Ralston, an early California financier. However, he declined the honor, and a Spanish-speaking railroad worker said that Ralston was “Muy modesto,” or very modest. Thus, the town was named Modesto. Nevertheless, while modest is in the name, Modesto is not modest about its attractions, as it is home to the critically-acclaimed Gallo Center for the Arts, the Prospect Theater Project, the Modesto Symphony Orchestra, the State Theater, the Modesto Nuts, a Colorado Rockies Minor League Baseball affiliate, and the Amgen Tour of California. The Xclamation Festival, also known as X-Fest, has become the city’s largest entertainment and cultural gathering. It is an annual festival that takes place on the streets of downtown Modesto, usually on the first Saturday in August. Founded in 2000 and organized by Chris Ricci Presents, the day is known for its Mardi Gras party atmosphere, concert performances that go all night, and a motto of “Good Times, Downtown.” It features 50 bands on eight stages in eight hours. It is 21 and over only, and has bragged of crowds that average 15,000 people, the capacity limit set by the city of Modesto. In 2009, however, X-Fest had an estimated 16,000 attendees enjoying music and food on the streets of downtown. Downtown Modesto is known for having a variety of great restaurants and fun night life attractions. It also hosts a multi-venue Art Walk year around on the third Thursday of every month. This walk is free to take, and maps for it are available. 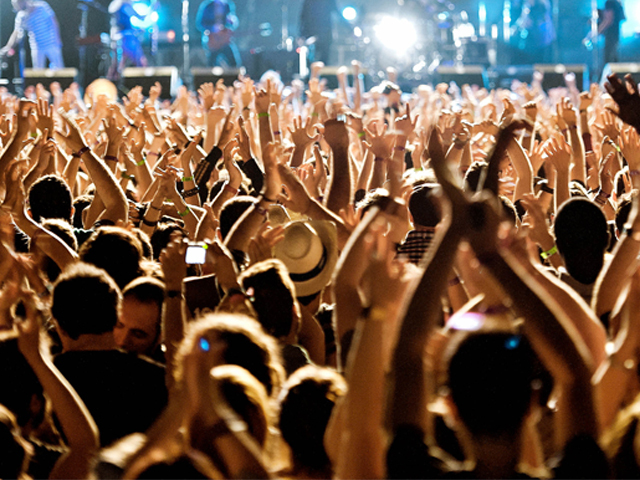 Modesto has hosted many music festivals, such as SummerFest, a downtown summer concert series. 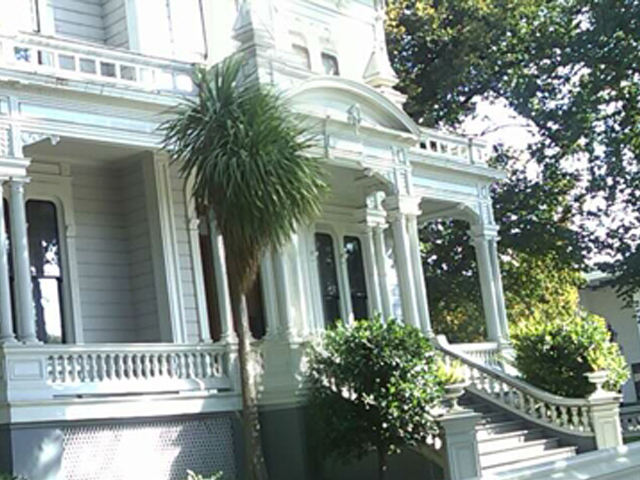 Another Modesto attraction is the McHenry Mansion, built by hand in the early 1880s by Robert McHenry, a local rancher and banker. The mansion is included on the National Register of Historic Places, and tours of it are available. Then there is the State Theatre, dating back to the 1920s. It was renovated in recent years, and serves as a local performance arts center and as a movie theater specializing in independent and foreign films. Sports fans will love to know that the Modesto Nuts MLB team is the main attraction for locals between Easter and Labor Day. In 1973, Modesto was immortalized by George Lucas in the film American Graffiti, in which Ron Howard, Harrison Ford and Richard Dreyfuss starred. Lucas’ film paid homage to teenage life in Modesto in 1962 based on his own experiences growing up there. Ironically, most of the movie was filmed elsewhere, because the Modesto city council refused to let Lucas film Graffiti in Modesto. 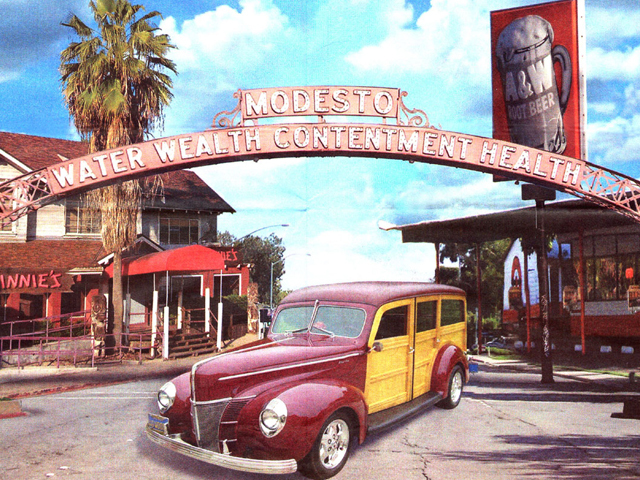 Since then, the city of Modesto has realized the strength of its connection to the award-winning film, and is now planning and preparing new tourist attractions and events for American Graffiti tourists. An annual festival paying homage to the movie, Graffiti Summer, is held in Modesto and lasts the entire month of June, when it draws thousands of visitors and car enthusiasts, along with hundreds of classic and antique cars.